The creativity, ingenuity and innovation of researchers, teachers, students and industry personnel that develops technological projects in the area of robotics in International Robot Exhibition 2017 (iREX) held in Tokyo. Participants exhibited light systems in the home, robotic arms that facilitate industrial processes, drones and high-tech automated systems. They also held contest and exposure and exchange of knowledge on robotics by young people from various institutions. There were about a thousand young exhibitors and visitors to the meeting. Among the robots presented stands out the one developed by Toyota's T-HR3, the third humanoid, various simultaneous workshops, including "Building my first robot", "Robotmaker", among others, in addition to the robot fair where various institutions participated that showed innovative robots. With a humanoid design, the T-HR3 robot can have a somewhat cold name, but its movements dazzled the attendees of the latest edition of the international robot fair that took place in Tokyo. The most surprising thing about this prototype developed by Toyota is in the gestures and postures it can perform, without losing the balance or the flexibility of its extremities. The Toyota T-HR3 robot uses a technology made up of 29 modules that bring together the various motors, mechanisms and sensors that allow you to perform fluid movements together thanks to some 32 articulators. In turn, this system is complemented by a special chair called Master Maneuvering System, which allows a human operator to remotely control the robot. Both systems are synchronized and the main control has a viewer that receives the live transmission of the cameras present in the T-HR3. "Conventional robots can not feel what it is like to hold something, so they often tighten the objects too much, this robot can hold you gently," said Akifumi Tamaoki, director of Toyota's robotic division. 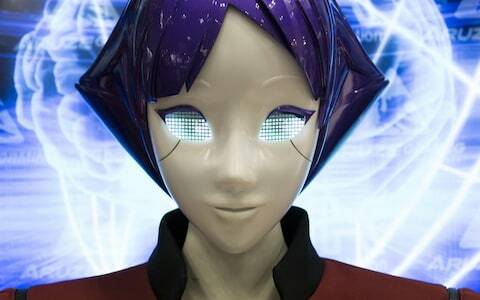 This event was held at the Tokyo, where lectures, exhibitions of robots, legos and workshops were also held. The general director, said that this type of space serves as a platform to build scientific and technological development in the state. These spaces serve as a platform for the promotion of knowledge that awakens interest in science, such as the field of robotics, where young people can materialize their ideas and become the main actors to promote the development of Robotics." said the coordinator of the event.